July 08, 2016 - "Press Releases"
The heavy duty frame on Coxreels exhaust reels is built to provide strength, durability, and stability. The components of this reel are individually powder coated providing excellent resistance in any environment. These reels also feature a panel to easily access the main drum, where the internal ducting is included. 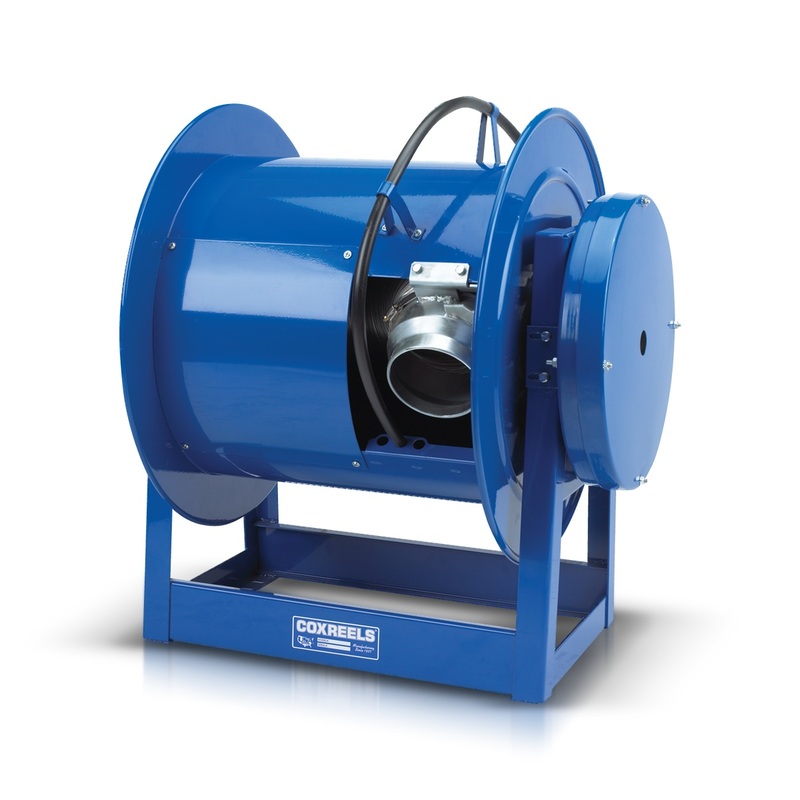 The 300 Series Exhaust reels are ideal for indoor vehicle exhaust removal, vehicle manufacturing facilities, automotive dealerships, fleet service centers, garage settings, and fire stations. For further information on the Coxreels® exhaust reel, contact Customer Service at (800) 269-7335 or visit www.coxreels.com.